The prime minister and his children deny any wrongdoing. Nawaz Sharif, whose father was an industrialist, has said his family wealth was acquired legally. 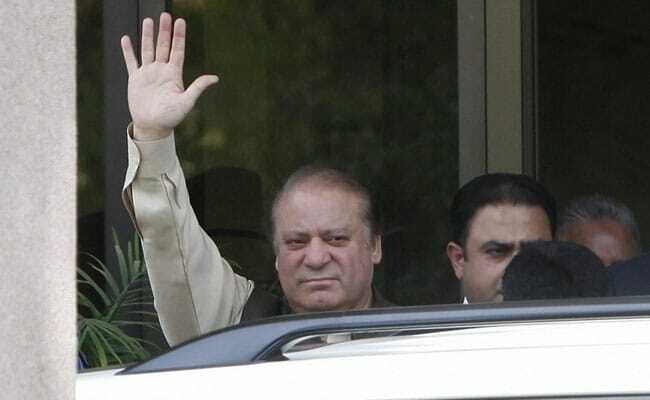 ISLAMABAD: Prime Minister Nawaz Sharif appeared before a panel investigating his family's wealth on Thursday, the first time a Pakistani prime minister has been grilled by an investigative agency. The scrutiny of Sharif has gripped Pakistan, but the investigation - ordered by the Supreme Court - has become increasingly politicised. Sharif arrived at the Joint Investigation Team (JIT) in Islamabad clad in traditional shalwar kameez tunic and baggy trousers, but did not speak to media. It was not clear how long the hearing, which had been scheduled to begin at 11 am (0600 GMT), would last. The Supreme Court ruled in April there was insufficient evidence to remove Sharif from office over corruption allegations levelled by the opposition, but it ordered further investigations. The Supreme Court agreed last year to investigate the Sharif family's offshore wealth after the opposition threatened protests after the leaking of the "Panama Papers". Documents leaked from the Panama-based Mossack Fonseca law firm appeared to show that Sharif's daughter and two sons owned offshore holding companies registered in the British Virgin Islands and used them to buy properties in London. Sharif, whose father was a prominent industrialist, has said his family wealth was acquired legally. A three-time prime minister, Sharif was ousted twice in the 1990s, including in a 1999 military coup. He later lived in exile, mostly in Saudi Arabia. He swept back to power in an election in 2013. His spokesman did not respond to requests for comment. Pakistan has been plagued by corruption for decades, with politicians often accusing rivals of graft. The Supreme Court has given the panel two months to investigate the family and then deliver its findings. The six-man panel, made up of members of civilian investigative agencies and military intelligence officers, are examining three generations of Sharif family wealth. The team has accused government departments of tampering with old records, but Finance Minister Ishaq Dar on Wednesday rejected such allegations, adding that the team's claims meant the process was becoming "suspicious", media reported. Sharif's camp has sought to remove two members of the investigation team and his ruling Pakistan Muslim League-Nawaz (PML-N) party voiced outrage over a leaked photograph taken from security camera footage showing Sharif's son, Hussain, appearing before the panel. Opinion polls suggest Sharif's party is likely to win the next election, due next year. A senior PML-N official told Reuters the party was unlikely to call an early election if Sharif was ousted by a Supreme Court ruling, and would select a new prime minister to take over until the general election.